After I ran the Turkey Trot, my heels felt a bit achy, and I realized that it was time to get new running shoes again. I had bought the old ones in early 2016, and they didn’t look decrepit, but it’s not always noticeable right away when the cushioning starts to go. I decided that was okay, though. 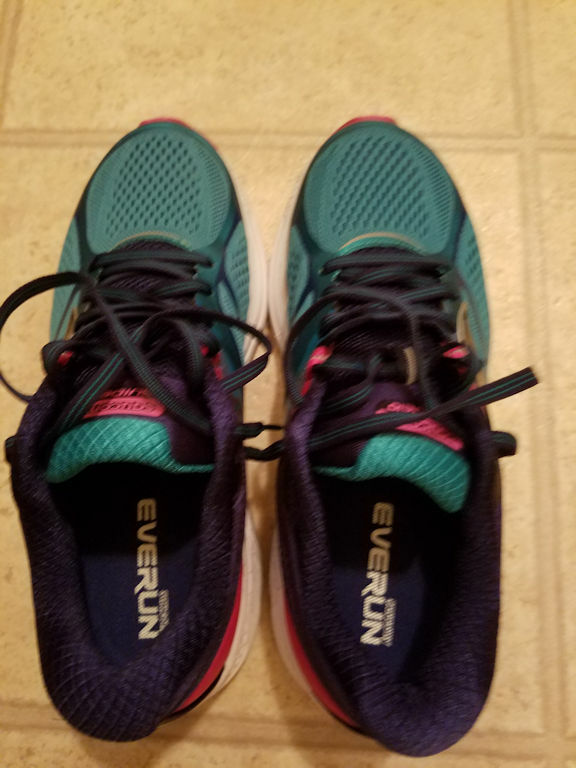 This was a good time of year to replace them, both because of the Thanksgiving weekend sales and because the cheerful colors of new running shoes always help to make the short, dark afternoons a little brighter. 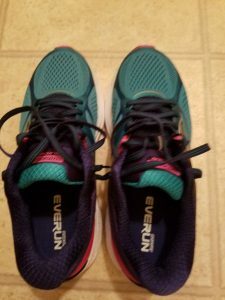 As with many things for which a regular routine works best, it’s a good idea to replace old running shoes on a schedule so that they don’t get too worn out and cause problems. So, from now on, I’m going to make a habit of buying a new pair on Black Friday. That’s very easy to remember, once a year seems like a reasonable interval, and I expect there will always be a good sale somewhere.